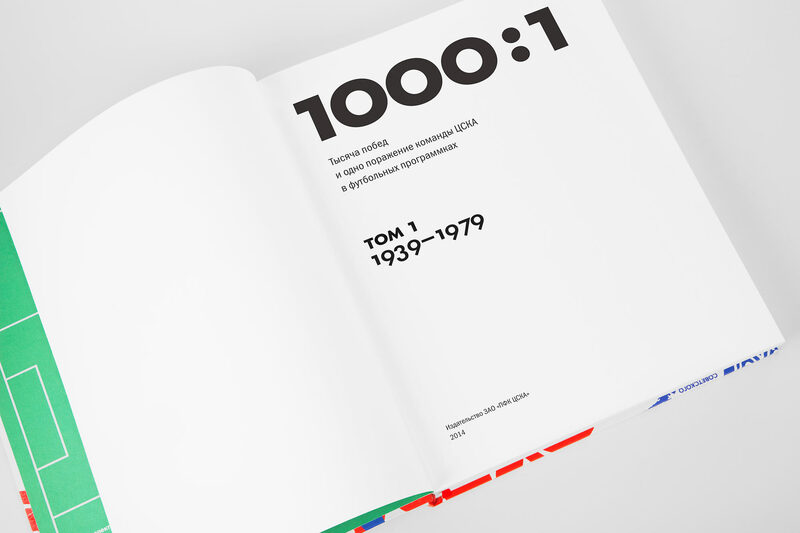 to publish a collection as a book. 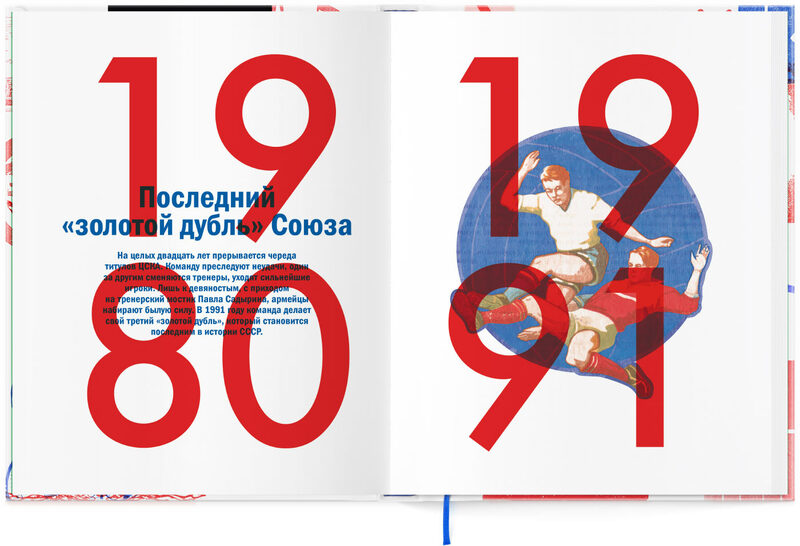 Collector Aleksey Grigoriev collected over 1,500 programs of CSKA soccer matches from 1938 to 2015. 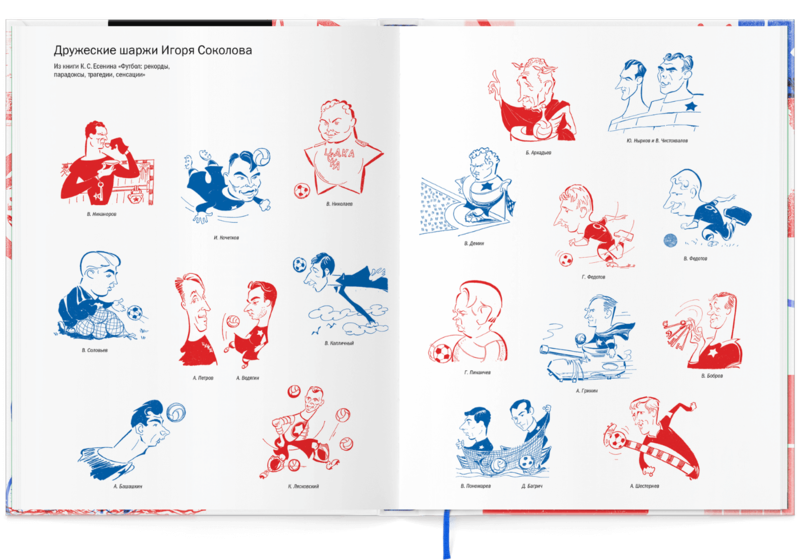 To celebrate the opening of the team’s home stadium, Aleksey decided to have his collection published as an illustrated album. 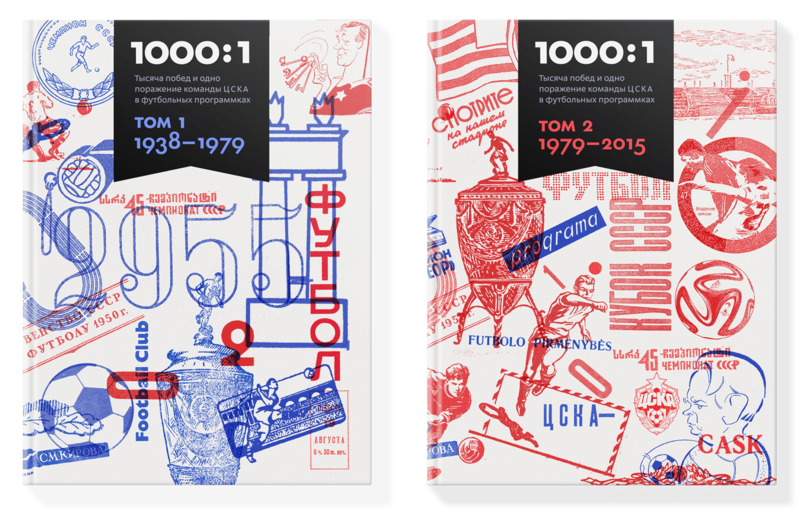 The two-volume edition includes 1001 programs that present the history of the club’s one thousand victories and one defeat. 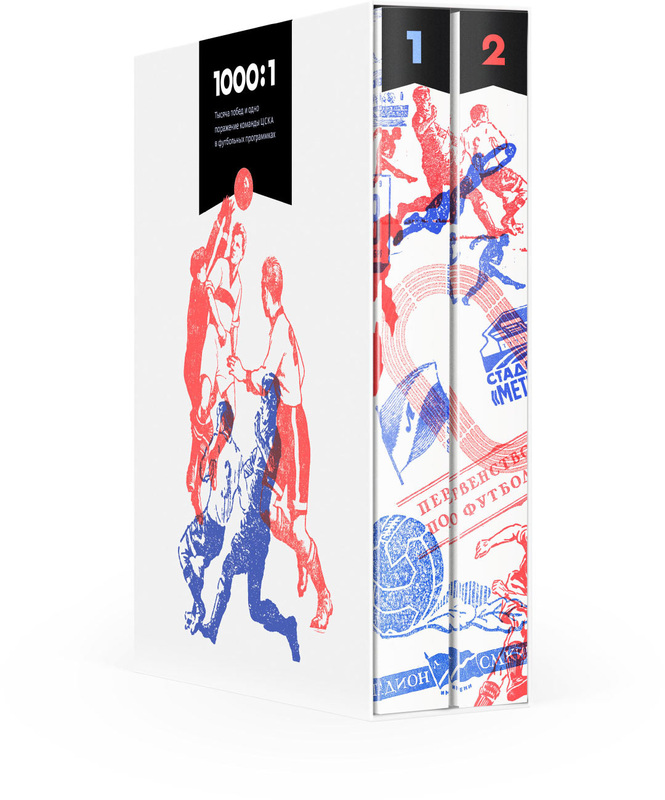 The edition cover, mock-ups and cardboard case were designed at the studio. 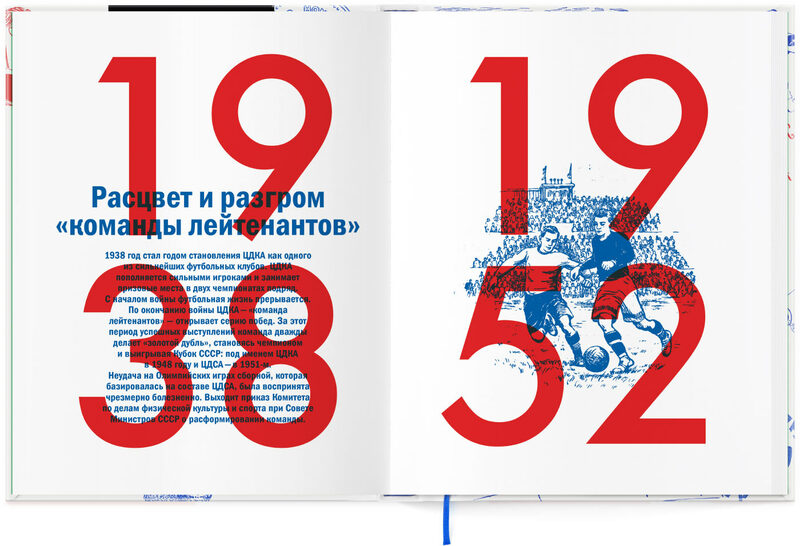 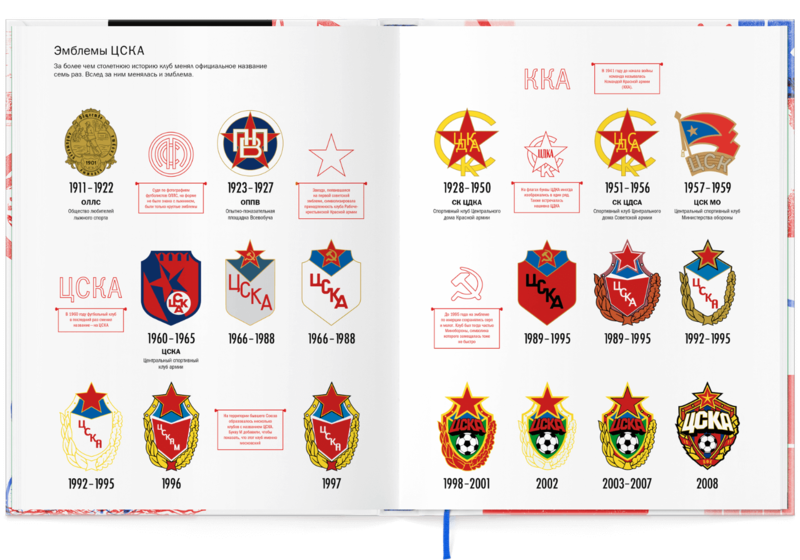 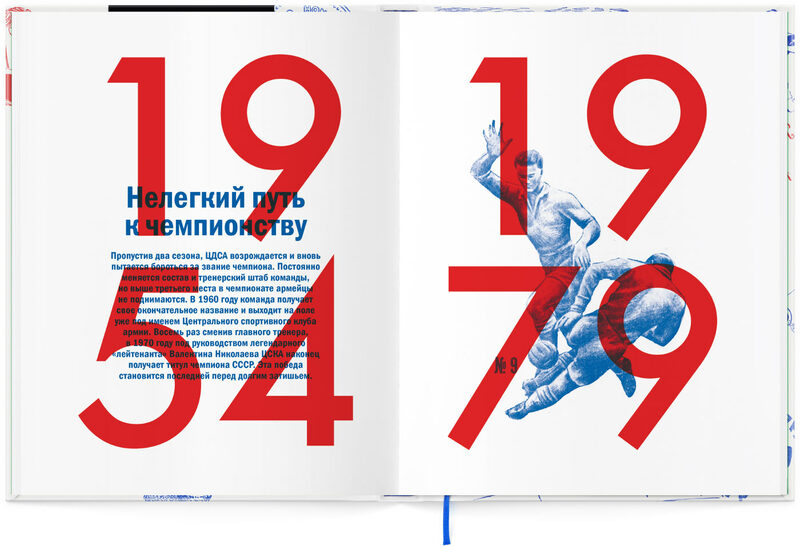 Endpapers showcase CSKA colors throughout the team’s history. 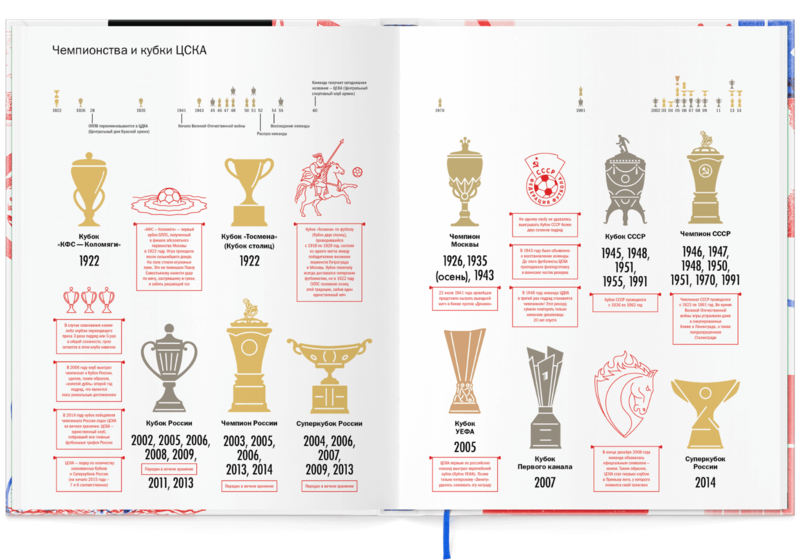  The album is divided into several parts related to important periods in the team’s history. 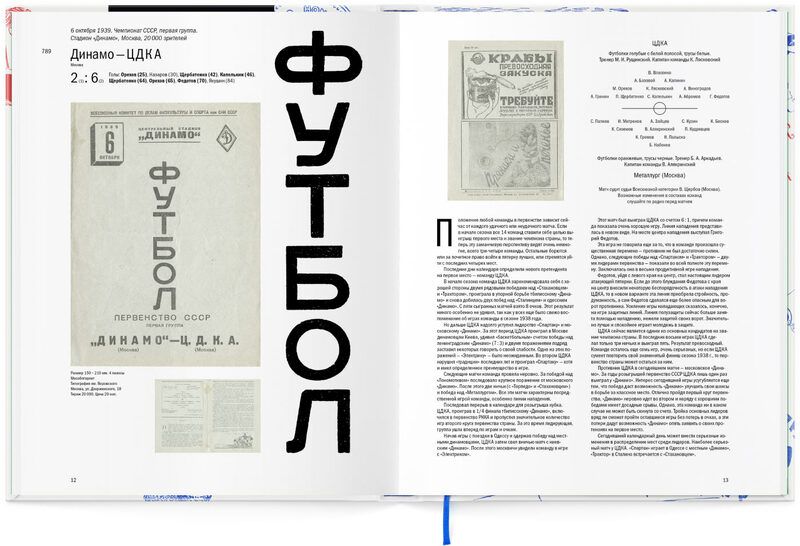 The sections are preceded by half-titles with brief information about major events of the period and relevant illustrations. 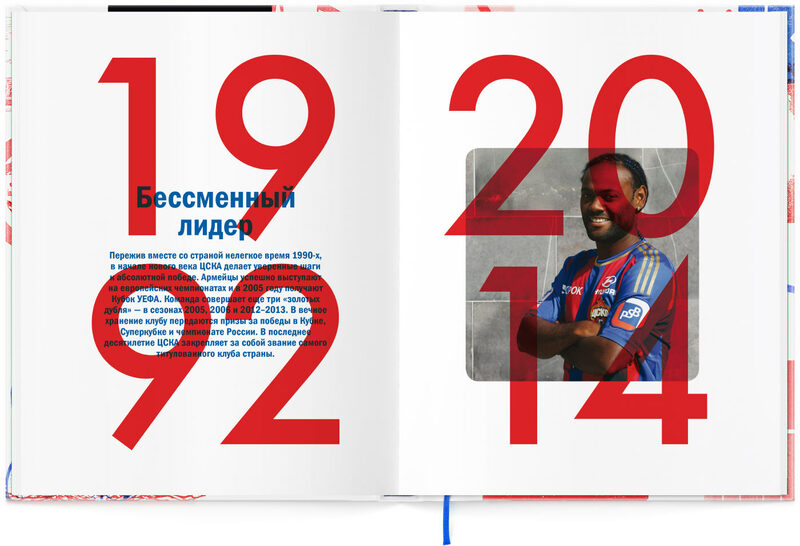 The main part of the album is dedicated to match programs. 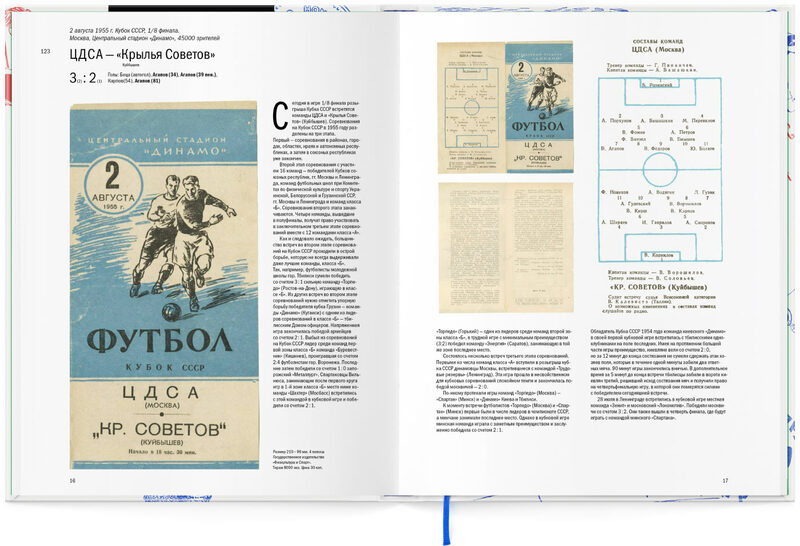 Each program is presented on a dedicated opening with photographs of the program’s cover and most interesting pages as well as text fragments: highlights of the match and latest events in the soccer world, team and referee rosters, tournament brackets, biographic and historic inserts, rare photographs and cartoons. 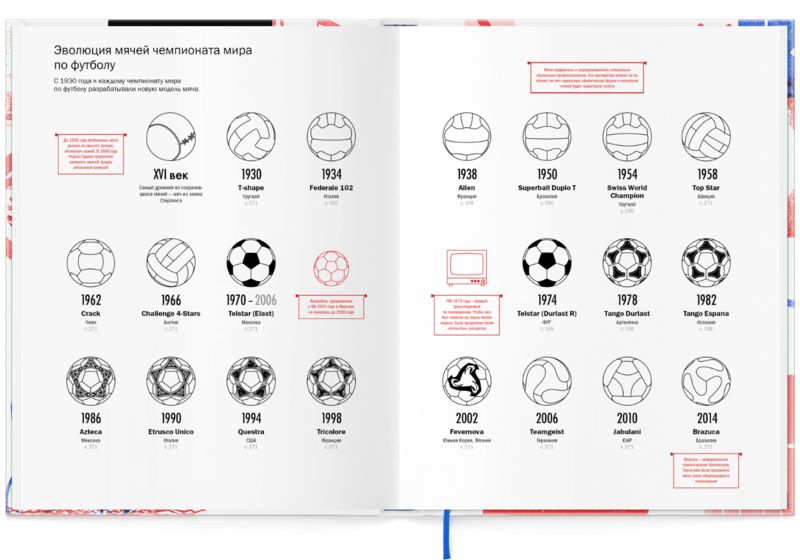 The programs help easily trace the evolution of sports media over the last 80 years from the time when people listened to live commentary on the radio to today’s era of having all of the internet in your pocket. 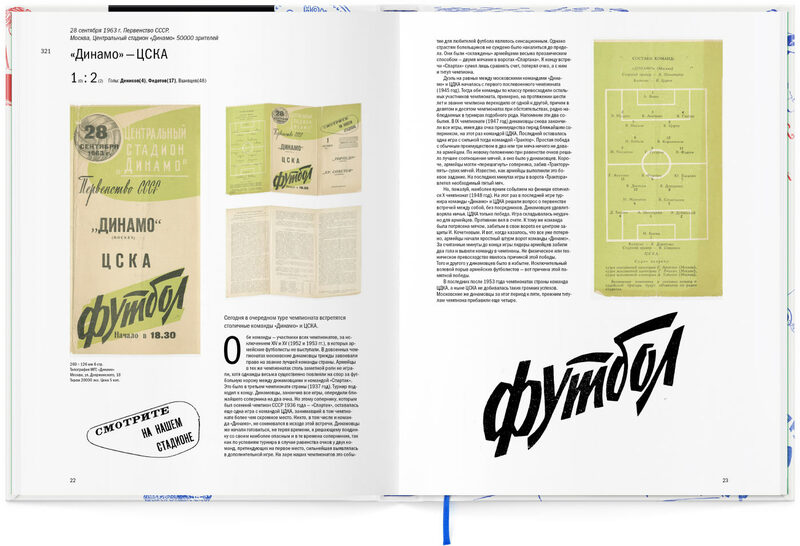 The album also features invaluable examples of Soviet advertising. 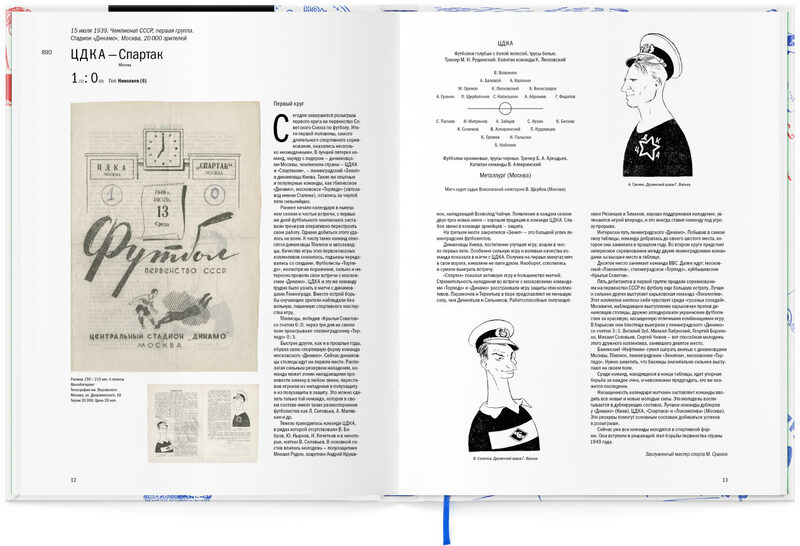 Illustrated openings with interesting facts intersperse the programs.